For centuries the light of the Buddha has shone as a beacon beckoning men from across the sea of darkness. Like lost children, millions of seekers have reached out to the light with their heart’s inmost cry, and the Buddha has shown them the Way. The world stood before the Buddha with it’s ignorance, and the Buddha, the Enlightened One, gave man Truth. 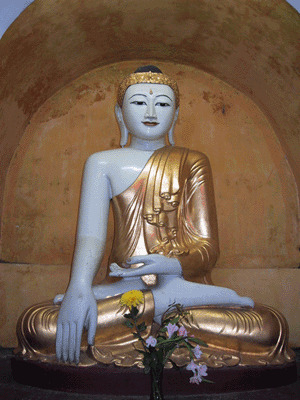 The world offered its age old suffering to the Buddha’s heart and the Buddha, Lord of Compassion, showed man the Dharma. In this play Sri Chinmoy gives us insights into the life of the Buddha. The poetry and power of the Buddha’s message take on a new, real and inner beauty as conveyed through the dramatic medium of these short plays.